The writeup in The Valley Times newspaper describes how the story unfolds and how it’s, ultimately, about “the pivotal moments in life that can define all that follows.” If you’d like to read the entire review, find it here in The Valley Times. I’m also thrilled to announce The God of Sno Cone Blue is available for sale in two book stores. 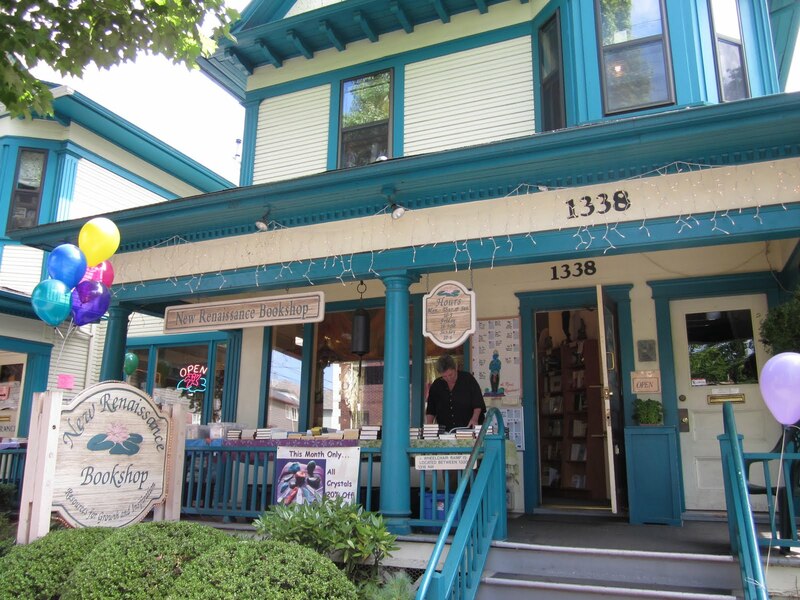 The first, New Renaissance Bookshop, is on NW 23rd in downtown Portland, between Pettygrove and Overton. New Renaissance is a spiritually-oriented store that’s fun to browse with everything from specialty teas to incense, candles to jewelry and buddhas to books. You’ll find The God of Sno Cone Blue in a quaint little room in the back among the novels. Stop by when you can, and tell them I sent you. If the Hillsboro area is more convenient, you’ll enjoy roaming the stacks in Jacobsen’s Books & More at 211 East Main Street. What I love about Jacobsen’s is the focus on books, both new and used. The minute you walk in, you’re browsing titles and finding gems. What’s more, local authors like myself have their books placed near the front of the store. Jacobsen’s stocks gifts and word games too and is very active in the community, sponsoring author readings and events for adults and kids. If you’re in Hillsboro, stop by Jacobsen’s on Main Street. You’ll find something fun! This entry was posted in Books, News and tagged book review, book stores, books, Hillsboro, Jacobsen's Books & More, local authors, New Renaissance Bookshop, novel, NW Portland, spiritually oriented, the god of sno cone blue, The Valley Times by Marcia Coffey Turnquist. Bookmark the permalink. Way to go, Marcia! Next time I’m in those areas, I will stop in – love the smaller book shops!